This year’s CSCW Lasting Impact Award will be presented to Paul Dourish and Victoria Bellotti for their CSCW 1992 paper, Awareness and Coordination in Shared Workspaces. 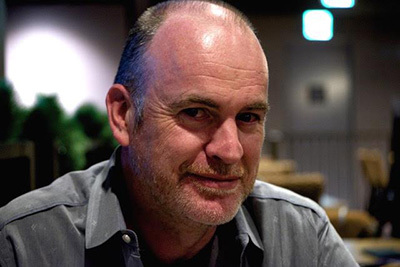 Paul Dourish is a Professor of Informatics in the Donald Bren School of Information and Computer Sciences at UC Irvine, with courtesy appointments in Computer Science and Anthropology, and an Honorary Senior Fellow in Computing and Information Systems at the University of Melbourne. His research focuses primarily on understanding information technology as a site of social and cultural production; his work combines topics in human-computer interaction, ubiquitous computing, and science and technology studies. He has published over 100 scholarly articles, and was elected to the CHI Academy in 2008 in recognition of his contributions to Human-Computer Interaction. He is the author of two books: "Where the Action Is: The Foundations of Embodied Interaction" (MIT Press, 2001), which explores how phenomenological accounts of action can provide an alternative to traditional cognitive analysis for understanding the embodied experience of interactive and computational systems; and, with Genevieve Bell, "Divining a Digital Future: Mess and Mythology in Ubiquitous Computing" (MIT Press, 2011), which examines the social and cultural aspects of the ubiquitous computing research program. Victoria Bellotti is a Research Fellow at PARC. When she’s not doing research, she consults on new technology-centered business ventures and innovations for PARC clients and start-ups. She studies people to understand their practices, problems, and requirements for future technology, and designs and analyzes human-centered systems, focusing on user experience. Best known for her research on personal information management and task management, Dr. Bellotti has more recently been focusing on user-centered design of context- and activity-aware computing systems, especially those involved in peer-to-peer marketplaces and optimized transportation. Her previous work at London University, United Kingdom, The British Government's Department of Trade and Industry, EuroPARC, and Apple encompasses domains such as process control, computer-mediated communication, co-present and remote collaboration, and ubiquitous computing. Dr. Bellotti received her Ph.D. in Human Computer Interaction from Queen Mary and Westfield College, an M.S. in Ergonomics, and a B.S. in Psychology from University College, all within London University in the United Kingdom. She is co-author of 20 patents and is an author or co-author on over 50 papers and book chapters. She also serves as an Adjunct Professor in the Jack Baskin School of Computer Engineering at University of California Santa Cruz and Associate Editor of the International Journal of HCI. 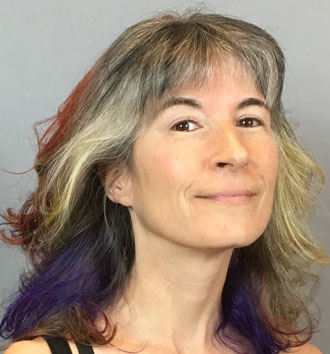 In 2013 she was awarded membership of the ACM SIGCHI Academy for her contributions to the field and professional community of Human Computer Interaction.